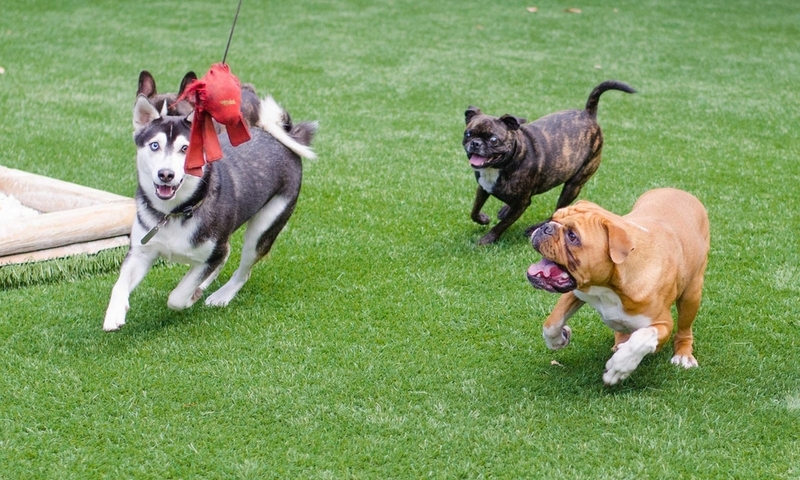 DOGGIE DOJO's dayCARE SERVICEs are BASED ON THE PHILOSOPHY THAT DOGS' FEELINGS OF HAPPINESS STEM FROM A DEEP NEED FOR HUMAN COMPANIONSHIP, SOCIALIZATION WITH OTHER DOGS, DISCIPLINE, AND ABOVE ALL, LOTS OF PLAY! As our human lives become busier and more complicated, our pets' needs often go unattended. 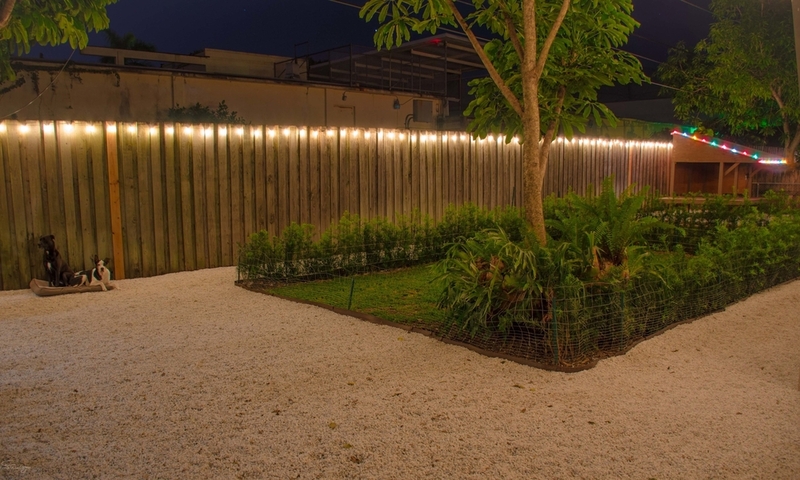 The constraints of work, family, and limited green spaces in Miami's increasingly cosmopolitan setting can make adequate pet care a challenge. 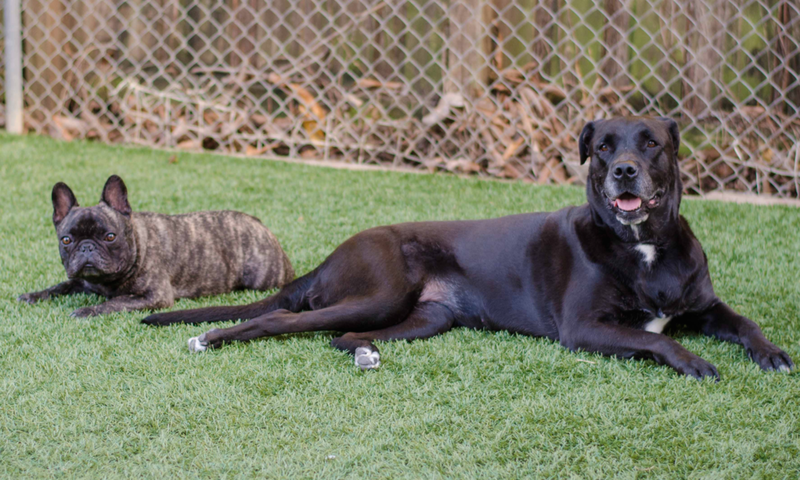 To that end, a dog daycare should serve its canine clients based on their individual demands, ensuring that all dogs go home happy and tired. 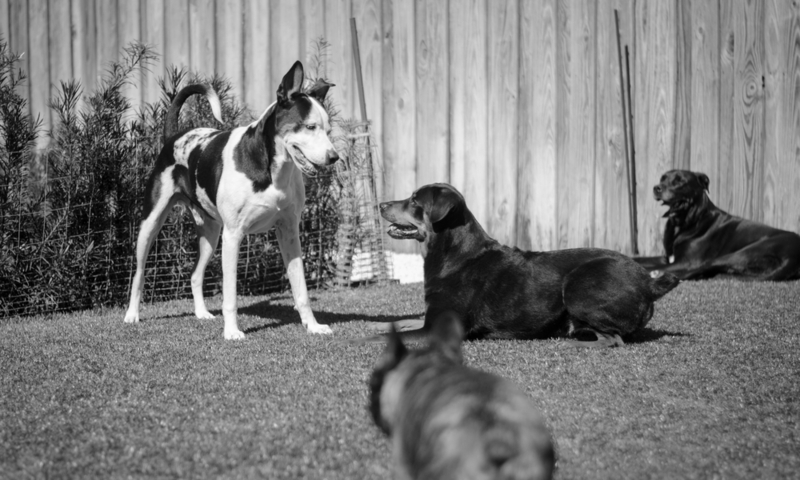 Ultimately, when a dog daycare meets all of your pet's needs - physical, mental, and social - the relationship between dog and owner can become more harmonious and more fulfilling. 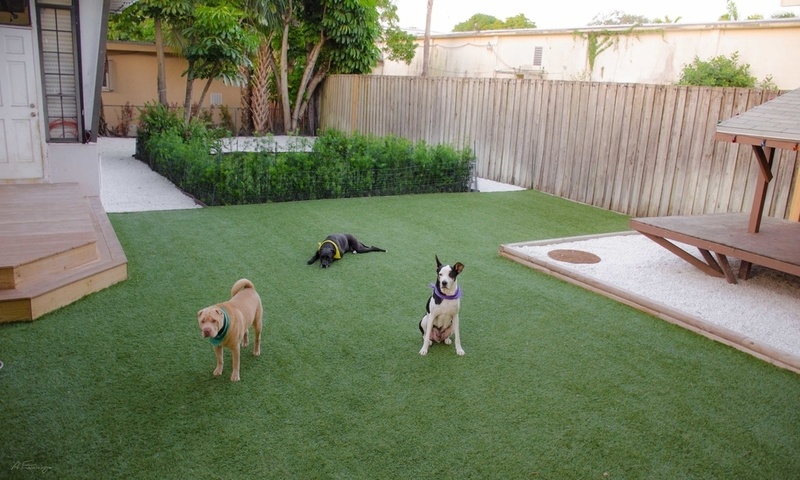 With this in mind, Doggie Dojo Miami aims to provide owners with the peace of mind of knowing their pet is being cared for in a healthy, fun, and attentive environment. how can doggie dojo serve you? All dogs - regardless of size, age, or breed - need exercise to remain physically & psychologically healthy. This is why we offer fun & safe daycare services that provide your dog with the energy outlet s/he needs, especially given the demands of work and family. 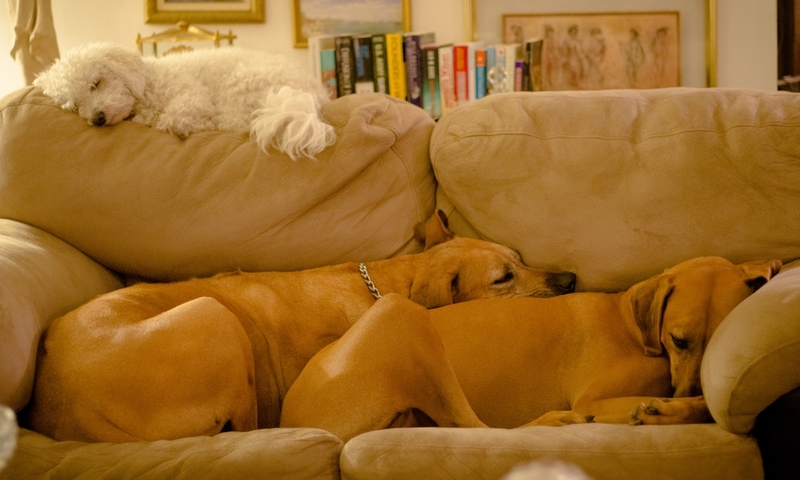 Like people, dogs are social creatures & benefit from socialization with other dogs. Poorly socialized dogs can exhibit negative behavior(s), like aggression, anxiety, & fear. 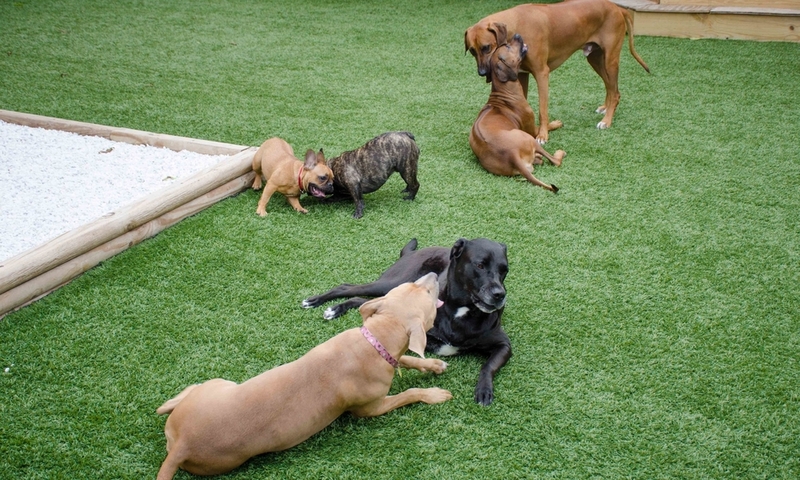 Regular daycare visits promote dogs of all ages to develop & hone their social skills. Whether you are seeking guidance as a new dog owner, want to take basic obedience training to the next level, or are an experienced handler seeking to expand upon the foundation of basic obedience, our pet care specialists are equipped to serve your dog's individual needs. We look forward to hearing from you and your pup - contact us NOW!